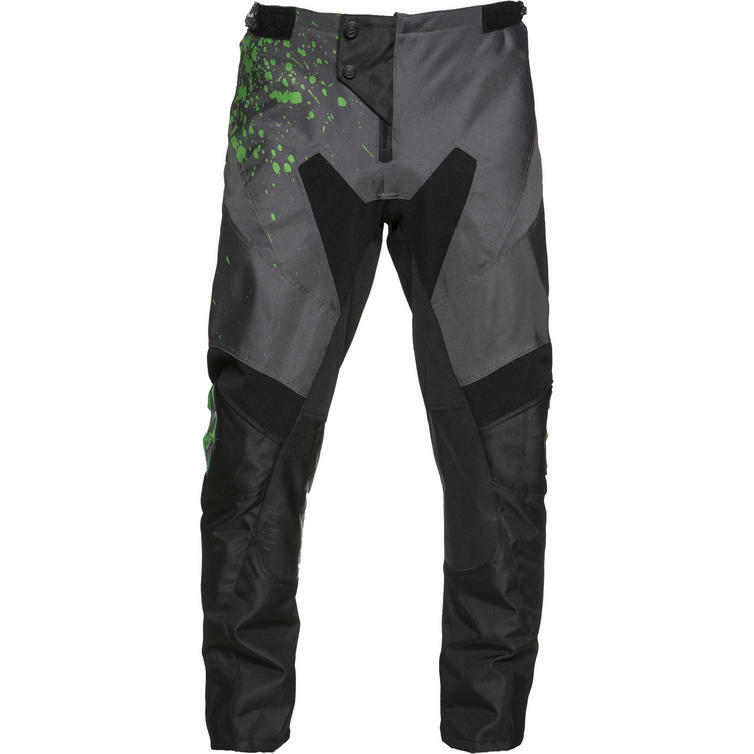 The Black™ MX Splat Motocross Pants are part of the latest Black™ collection. 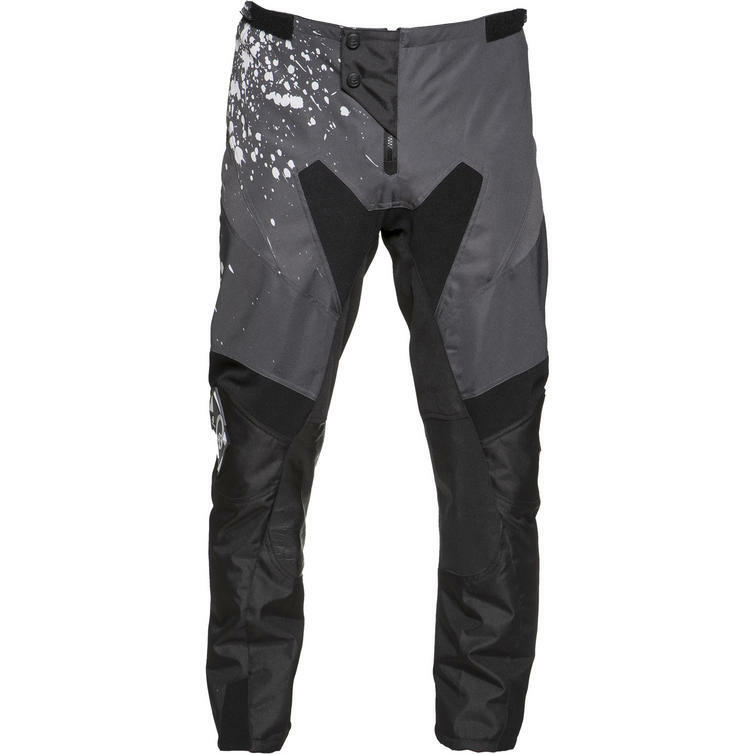 The Black™ MX Splat MX Pants are designed specifically with style, comfort and quality in mind. The high quality durable material combined with an incredible fit and strategically placed stretch panels mean you can be sure that your kit won't let you down! 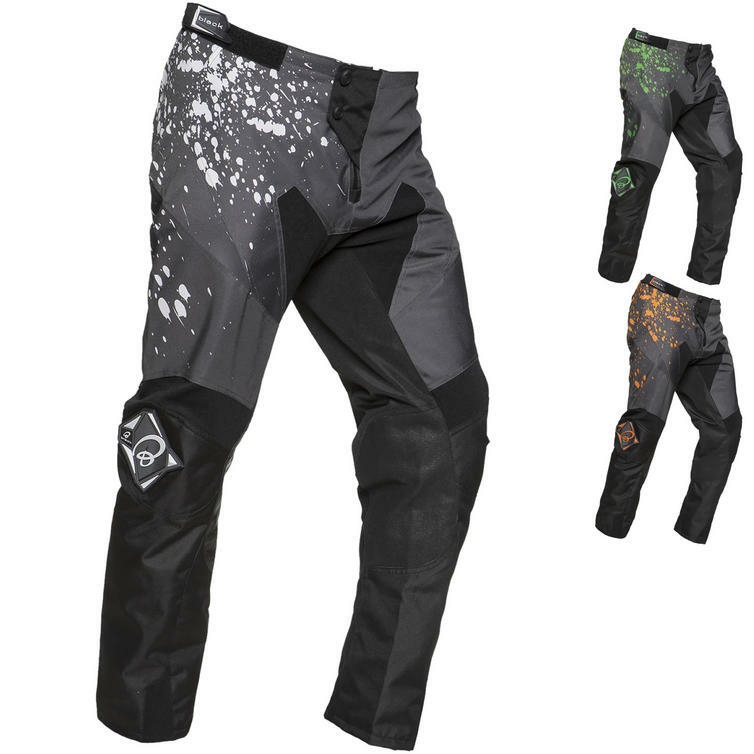 Leather heat resistant patches on the inside of the leg and PU patches on the Knee help offer reinforced protection from all angles. 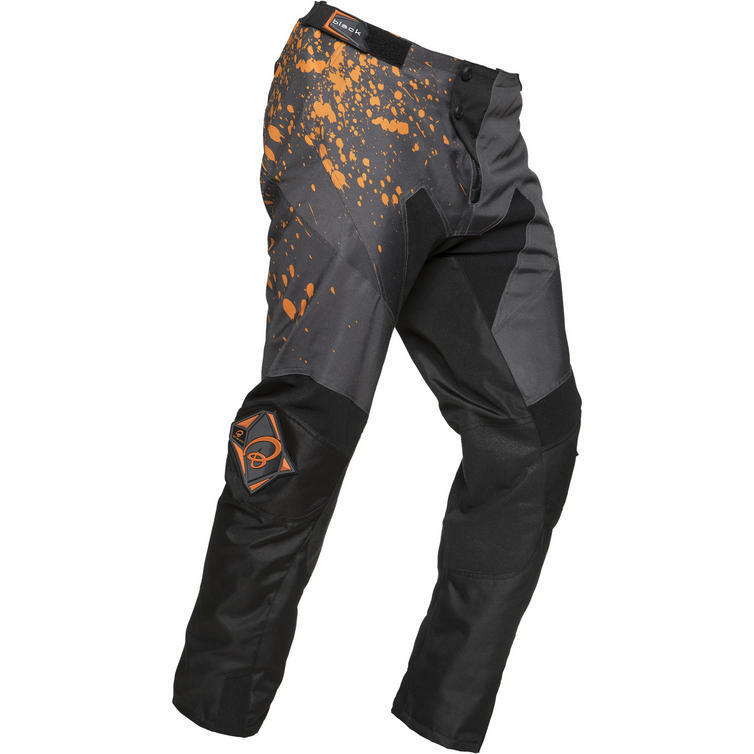 View the full Black™ Off Road Range. 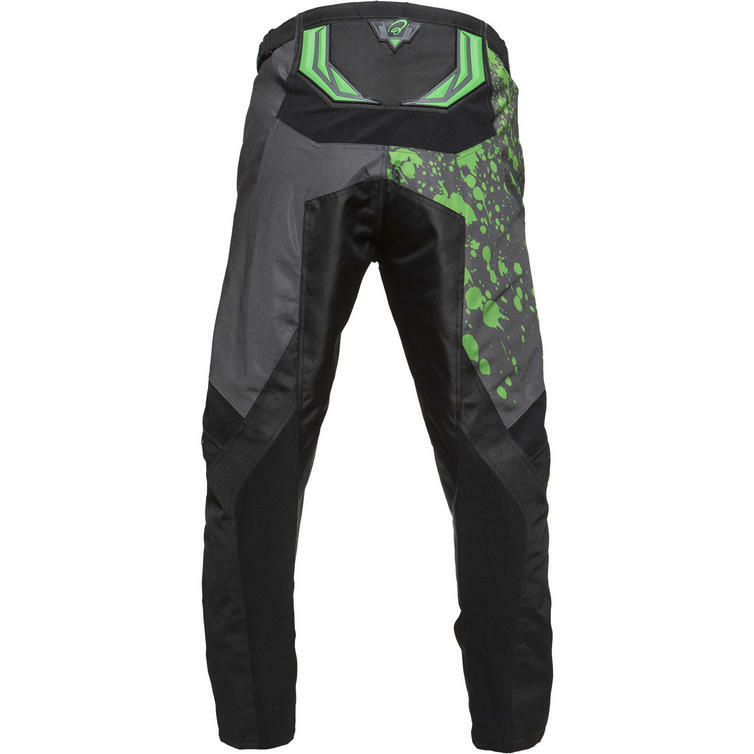 View all Motocross Pants. 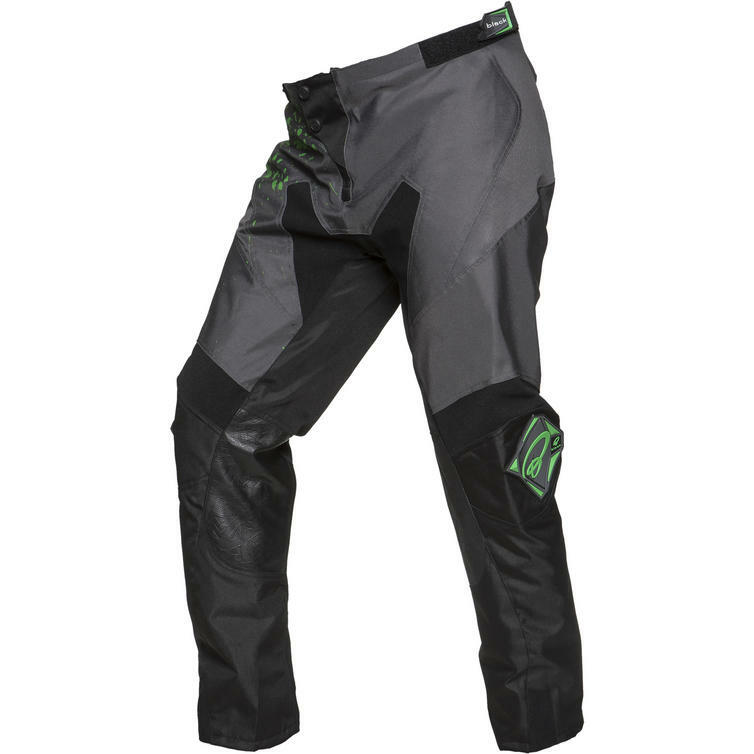 600D Polyester Main Body Fabric - The durable 600D polyester means that these trousers are heavy duty aswell as flexible and breathable. 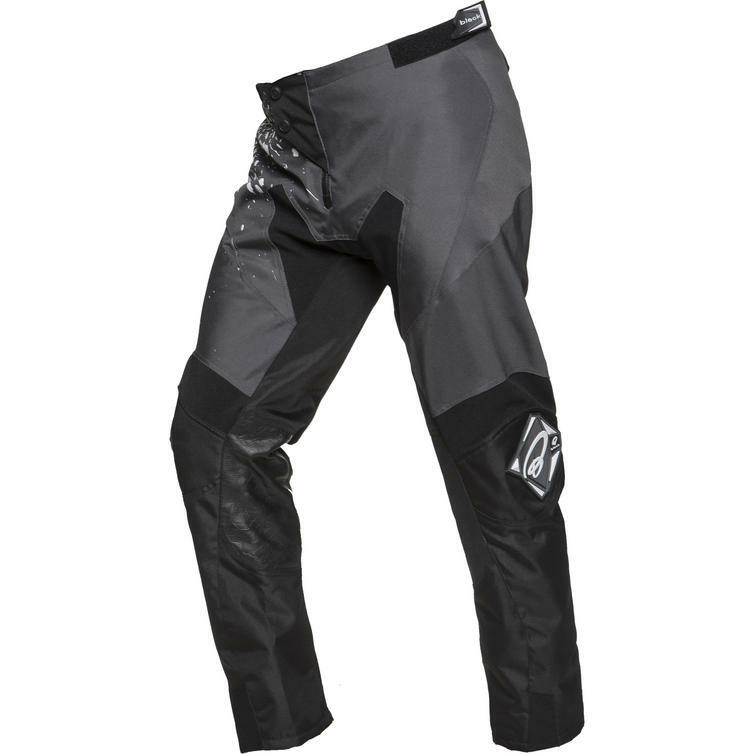 Hip Inserts - Comfortable and flexible hip inserts provide extra padding without hindering movement. 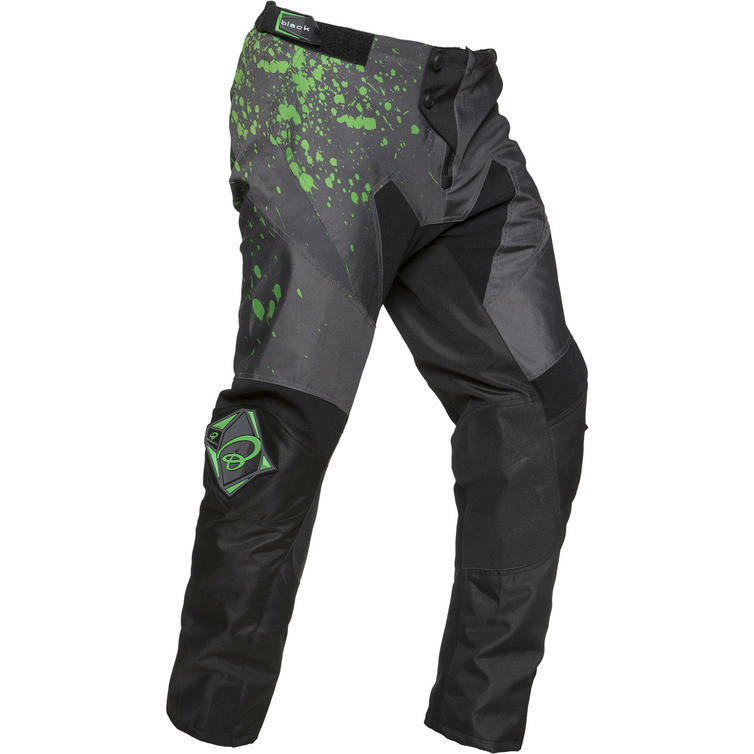 Protective Rubber Panels - TPU rubber panels on the knee and rear of the trousers combine form and function providing a stylish look and offering additional reinforcement in key areas. Adjustable Waist Straps - The adjustable waist straps ensure that the fit is perfect for you whatever your shape. 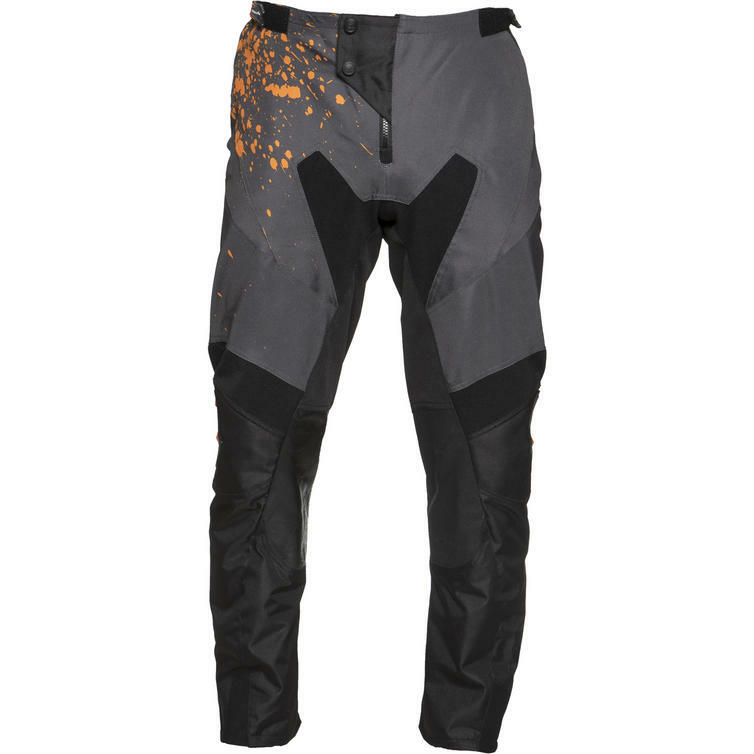 High Quality Leather Inside leg Patches - High quality leather leather patches complete the stylish finish and are integral in protecting from abrasion and excess heat from the engine and exhaust. 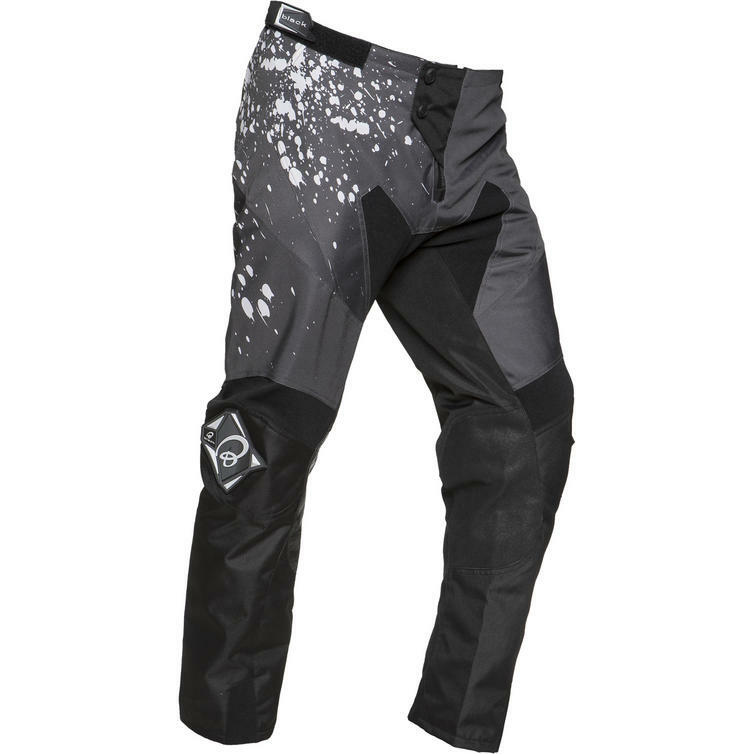 Stretch Panels in several Areas - Stretch panels going up the Calf, across the knee and along the back ensure free movement with a comfortable fit. 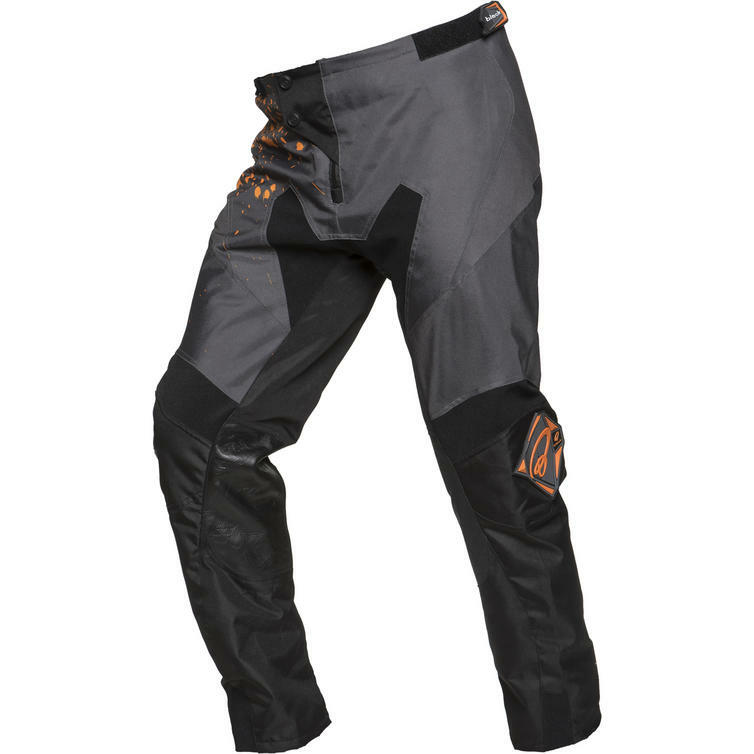 Zip and Double Button Fastening - The zip fastening with and double buttoned flap to reinforce it help to make sure that your trousers are secure whatever your riding style.